Combining technology with natural materials, Orée’s tools are both efficient and beautiful. 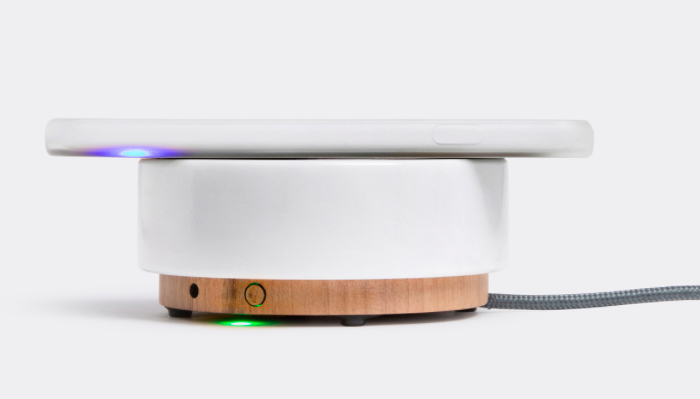 ‘Pebble 2’, is a portable wireless smartphone charger handcrafted from a single piece of solid white Carrara marble by artisans at the brand’s workshop in southern France. Crafted, polished, varnished and assembled by hand, the charger also features a Bluetooth speaker for hands-free calls and music. ‘Pebble 2’ is compatible with phones that use Qi technology. US plug. This sleek wireless speaker from Swedish heritage brand Audio Pro combines portability with premium sound quality and streams from any Bluetooth device with ease. 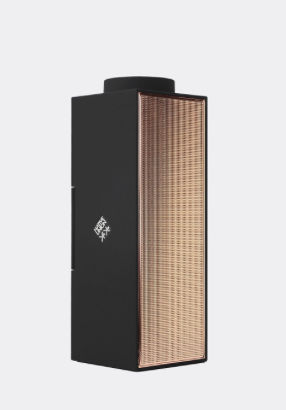 Unlike many speakers, the T10 does not hide under an over-designed shell – its classic, clean design allows it to seamlessly blend in, whatever surface you put it on. A wireless digital music system holding the ability to stream tracks wirelessly over Bluetooth aptX, the ‘EGG’ offers high-resolution sound from computers or mobile devices. With an integrated amplifier and DAC, 96kHz/24-bit mini USB input, distortion-free digital speaker connection and optical connection to TVs, the speakers — designed by KEF and Milk Group — ensure audio is delivered with depth clarity and detail. 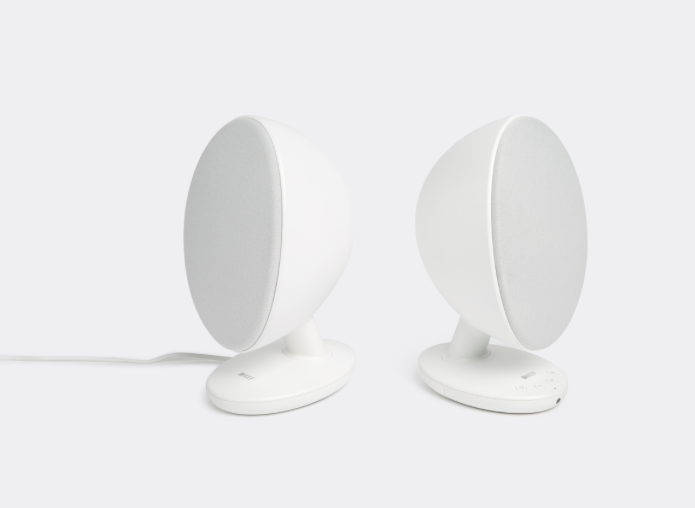 Employing a straightforward ‘plug-and-play’ system, the ‘EGG’ fulfils every requirement for flexible, compact, high-quality sound in any environment. Combining high standards of sound reproduction with the convenience of streaming full bandwidth CD-like quality music wirelessly via Bluetooth aptX® or via auxiliary input, KEF’s ‘MUO’ speakers offer quality sound on the go. 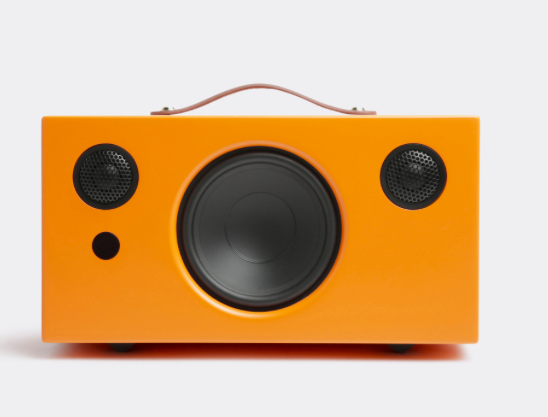 The aluminium speaker features three versatile configurations — mono, stereo or dial connect, and is adaptable to any mood via a computer or mobile device be it at home, work or during travel. This speaker is part of Ross Lovegrove’s ‘Launch Edition’ of MUO speakers, inspired by four natural landscapes. 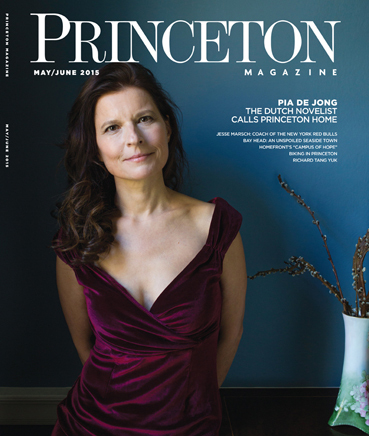 Designed in collaboration with Dutch designer Piet Hein Eek, this small copper Bluetooth speaker brings contemporary style and high-quality audio to any bedside. Powered via a wall charger, the speaker is portable and can be connected to mobile phones or computers. 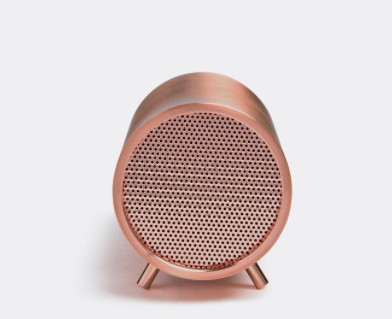 Minimal, contemporary and distinct, Native Union’s black and copper ‘Switch’ portable Bluetooth speaker offers optimum functionality that will blend perfectly into interiors. The powerful battery allows users to enjoy high quality sound for up to 14 hours, and the device can also be utilised as a professional conference call unit, thanks to its built in full duplex microphone, and also serves as a power bank for smartphones via discreet USB ports at the rear. Combining technology with natural materials, Orée’s tools are both efficient and beautiful. 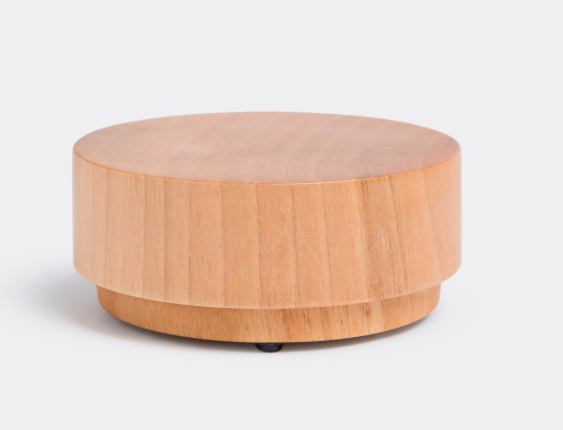 ‘Pebble 2’, is a portable wireless smartphone charger handcrafted from a single piece of solid walnut by artisans at the brand’s workshop in southern France. Crafted, polished, varnished and assembled by hand, the charger also features a Bluetooth speaker for hands-free calls and music. ‘Pebble 2’ is compatible with phones that use Qi technology. US plug. 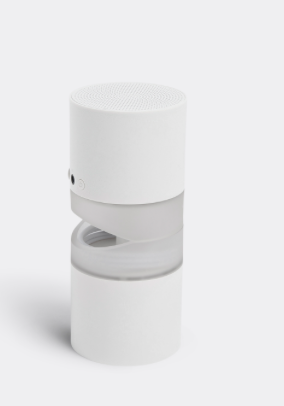 Compatible with Bluetooth-enabled portable devices and computers, the minimal Sound 1 Speakers by 11+ are both stylish and functional. Each white speaker has a slanted base, allowing music to be projected at a trajectory that is ideal for optimum sound, and the pair has built-in magnets to enable the speakers to be joined when stored in the leather pouch provided.